Hey everyone, Happy Friday! Today I'm sharing some current faves with you guys. As you can tell from my last few posts I have been on a shopping spree lately :) I blame Mark because when he's gone I like to shop hah! Kidding, kidding! I was in San Diego this past weekend and had the best time! I promise I will post more about that next week in a full recap of my trip. I miss my girlfriends so much but I'm so thankful for the time we had together. What would a Five on Friday be without a book recommendation?? 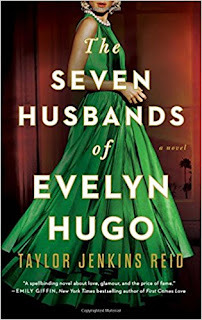 I loved the Seven Husbands of Evelyn Hugo. My friend Kayla recommended it and I flew through the book. It's an easy read but keeps you wanting more until the very end. I picked up these sneakers while I was in San Diego and I really like them. I'm super weird about wearing tennis shoes with jeans but I will make an exception when they look cute (and not like work out shoes) and I'm not actually wearing them to work out lol. This lilac color is perfect because it's more of a blush and very neutral. I see myself wearing these a ton to school this year, especially this fall. The white with the palm fronds is my fave but I was skeptical about how this inexpensive white suit would hold up when you get it wet. So that's why I opted for the darker color. 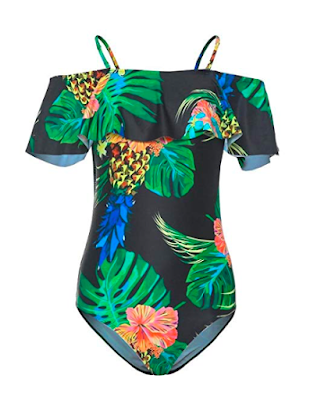 I paid $13 for this suit and now it's currently $14.99, still crazy reasonable and worth the try! You guys know how much I love my R+F products so I have to share this amazing deal going on right now. One of my most frequently asked questions (when it comes to R+F) is do they have a travel sized version? Sadly, we don't sell them but every now and then they will release the mini travel sizes in some kind of promotion. I have had several of the Redefine travel regimens and they last me forever which is crazy because they are small (and TSA approved!). 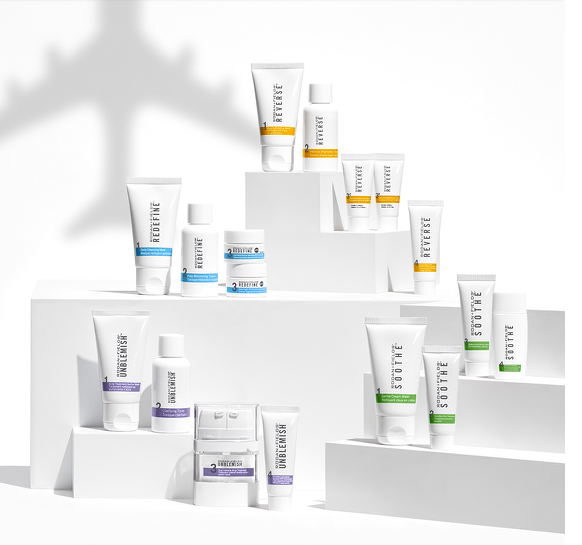 Well right now you can get any of the four regimens in travel size when you purchase a full sized regimen. Such a steal! If you have thought about trying out some new skincare, let's chat about what could work for you. Here is the link to the solution tool. It takes less than a minute to complete and can help narrow down some skincare options that are specific to your needs. I'm giving away a few free Microdermabrasion paste packets (one of my fave products!) for anyone who completes the solution tool today. Just comment below with your results, or comment on FB or Instagram and I'll enter you to win!